We still have our 2017 Saint Ann’s Calendar for purchase. This is a great way to support the Friends of Saint Ann’s and our efforts to Save Saint Ann’s. 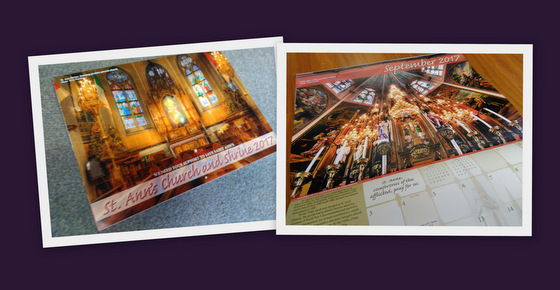 The calendar is full of beautiful photos of Saint Ann’s Church and Shrine. God bless you for your continued support! You can also order online through Debit/Credit card via PayPal below. I love Saint Ann’s it is a beautiful church and a architectural gem and statement to the german american immigrants faith. I would love to get involved in fundraising efforts. The longer this building is vacant the less chance to save it I would love to see it open for service next Christmas.